Lucy: What If You Could Use 100% of Your Brain Capacity? This movie looks freakin’ AWESOME! It’s a superhero movie with an interesting twist. Looks like a fun roller coaster! 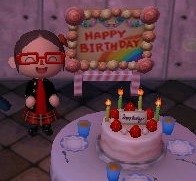 If you would like to visit my Animal Crossing town, my Dream Address is 4000-2185-7855.